Avoid Lying Down for too Long – It is normal to lay down somewhere and wait for the back pain to disappear. However, doctors do not recommend this process and instead, encourage patients to be mobile as much as possible. Prolonged bed rest just may slow the relief process and may even cause more pain. If you must lie down, do so, flat on your back with two cushions under your knees. Do not stay in bed for more than three days as this weakens your muscles and increases your risk of sprains. Apply Ice – This is a common home remedy although the application of ice on the affected area should be done within 24 hours of the injury. Applying the ice pack within 24 hours prevents inflammation and eases discomfort. If you don’t have an ice pack, use a plastic bag and fill it with ice cubes. Keep the bag on a thin towel and place this on your skin. This should be left on the affected area for 20 minutes. Take a break of 30 minutes and apply the ice pack again for another 20 minutes. Hot Bath – If you could not do the ice pack routine within 24 hours of the injury, you should not apply the ice pack as this will not help reduce inflammation. Instead, you should try soaking in a hot water bath for 20 minutes. Heat helps increase the elasticity of muscles. Add some Epsom salts to the bath water as this can work wonders. Get a Massage – We are all aware of the health benefits of massage. You do not have to go to a special massage therapist for this if you can get your spouse or someone else to do this for you. Lie face down on the bed and get your spouse or a therapist to knead your back muscles. Consider a professional local massage therapist who makes house calls, if you cannot go out of home. Stretch – Stretching is a good way to get rid of your back pain. Stretching limbers tense muscles and strengthens the ones that need help. However, be very careful about your stretches as some stretching exercise may do more harm than good depending on the location of your back pain. Stretch gently, and do not push. If you don’t know what stretches to do to relieve back pain, speak with your doctor. Rub Ointment – There are plenty of over-the-counter ointments for pain relief. Rubbing these on the affected area may help alleviate the back pain. However, keep in mind; these medications and their effectiveness can vary according to each user. Sometimes, back pain can be extremely discomforting and will reduce the quality of life. Therefore, you need to make sure you have the proper care. If you have tried several remedies and nothing seems to work, you should consider medical attention. Old age can bring debilitating conditions such as muscle atrophy, chronic back pain, arthritis and a range of other illnesses to us. The best way to stay healthy and fit is to exercise and keep active, well ahead of your middle age so that when you approach your retired life, you are still in the prime of your health. 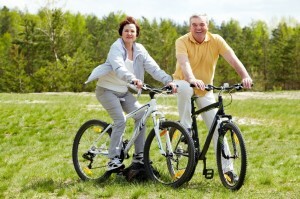 Living in an active adult lifestyle community can be one of the best choices you make in life. These communities are geared with proper amenities, fitness instructors and an action-packed monthly calendar full of activities to keep you engaged and active. 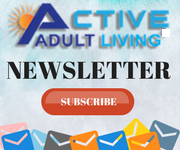 Visit our website actievadultliving.com for information on over 5,800 such age targeted and age-restricted 55 Plus retirement housing communities.